SHALOM! SHALOM! PEACE MY BROTHERS AND SISTERS! PEACE FROM ABOVE! You may of course search through the archives for many more shows of exceeding enlightement at www.blogtalkradio.com/edy1 Hallelu’YAH! It is written at ISAIAH 59:8-<19-21>-60:12 and ISAIAH 41:21-42:4, PSALMS 14 and PSALMS 53 that humanity having made for itself CROOKED PATHS has NOT in these latter days known the WAY OF SALVATION PEACE! BLESSED are they who will be found HUMBLE to SEEK and AWAIT Him who YAH has chosen to REVEAL again HIS RIGHTEOUSNESS! (Isaiah 56:1-8>-<9-57:14) Because your RULERS WILL NOT! WORDS HERE FOR BUT THE MOST HUMBLY DILIGENT SOUL! By what POWER shall one be made truly RIGHTEOUS, WORTHILY true to ALL DIVINE WILL, denying NOTHING before YAH? By what NAME should they be called if made true untoo the MOST HIGH above ALL the RULERS and PASTORS of this EARTH? By what NAME shall a believing remnant find AT-ONE-MENT, ie. SALVATION beyond every pretentiously hypocritical worldly MISrepresentation that has damnedly divided the people? 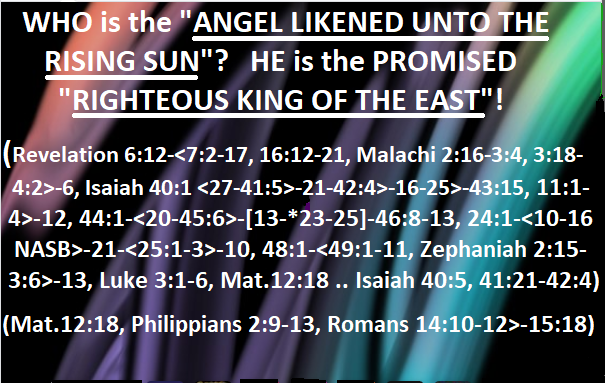 At Isaiah 40:27-41:4 and Malachi 4:2 MESSIAH is called the RIGHTEOUS ONE like the ARISING SUN in the EAST. 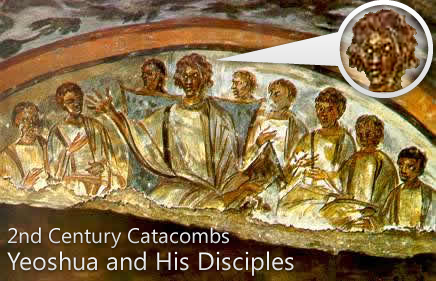 Note that the Messiah is called by similar titles at Revelation 7:2, Luke 1:78 NASB and 2Peter/ Kepa 1:19-21 NASB ie. SUNRISE and MORNING STAR. ie. the “LIGHT that cast out ALL the DARKNESS/ CONFUSION .. the LIGHT the WHOLE WORLD would OBSCURE! .. that EXPOSES ALL who would keep the PEOPLES in DARKNESS! For in the INVARIANT LIGHT of the MOST HIGH there is PEACE! For ONLY the FULL RIGHTEOUSNESS of YAH is the PURE PERFECT WORD of the LORD of SALVATION, the GOSPEL WAY of KINGDOM PEACE! NOTE that ZEPHANIAH 2:15-3:6>-13 .. calls MESSIAH the RIGHTEOUS LORD! At ISAIAH 41 and Isaiah 44:20-45:6>-46:13, PSALMS 110, YAH has promised to SUBDUE ALL KINGS under the FEET of HIS RIGHTEOUS ONE, even the MESSIAH who is affectionately called “Lord”. For ONLY the RIGHTEOUSNESS of YAH is the PURE PERFECT WORD of SALVATION PEACE! Blessed are they who will be CONVERTED unto the PURE PERFECT WILL of the ONE .. beyond all the “MARKS” ie. FALLEN STANDARDS of the MANY UNREASONINGLY BEASTLY NATIONS! (Mat.28:18-20, Revelation 14:1-15:5, 6:12-7:17, 22:16) See also Isaiah 66:1-<6-15 again. MASSIVE IMPLICATIONS IN WHAT IS REVEALED HERE! MORE THAN ENOUGH POWER TO COMPLETELY REVOLUTIONIZE THE WAY THAT 99.99999999999999999% OF THE MASSES PERCEIVE WHAT IS COMMONLY CALLED “THE FAITH”. WHY? BECAUSE QUITE FRANKLY WHAT THE STATUS QUO HAS THOUGHT TO BE THE FAITH OF YAH, WAS NOT SO AT ALL! Collaboratively taking into consideration a CONSENSUS concerning ALL that is written by the LAW and the PROPHETS, ultimately speaking, RATIONALLY SPEAKING, there is NO DOUBT! There is a by and large FORGOTTEN but AWESOME TRUTH POWERFUL toward RESTORING unto the CHILDREN TODY the HEART of OUR ANCIENT HEBREW FATHERS! For surely, previous to the 70 A.D. FALL of JERUSALEM, there was a COMMON EXPECTATION that was surely the MUTUAL ORIENTATION among the descendants of the once MIGHTY PERSIAN EMPIRE of which JUDEA too was a SATRAPY! We must understand according to ALL the indications of the SCRIPTURES, that the JEWS, the ZARATHUSTRI of the EAST, and they who BELIEVED in YESHUA as SAVIOR; all had in COMMON a PARTICULAR PREMISE! THEY ALL surely regarded the ancient PERSIAN KING whom ISAIAH calls the “LORD’S ANOINTED SHEPHERD, who bore the title “RIGHTEOUS ONE”, and “KING OF THE EAST” to be the AWAITED KURTI-SHAHSHANSHAH, the PROMISED AWAITED ONE, the SAVIOR, the KING OF KINGS .. MESHIKAH! CONSIDER! 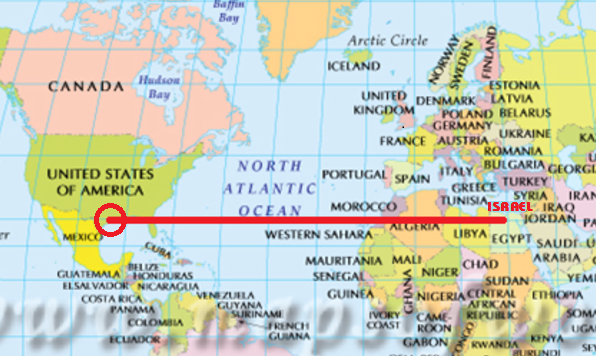 Who did YAH prophesy would from a FOREIGN LAND, give the “LIGHT of PEACE to the EAST”? 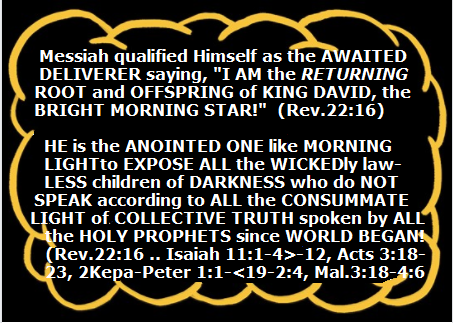 (Isaiah 46:8-13, Luke 1:76-78) WHY would YESHUA as MESSIAH say, “I AM the ROOT and OFFSPRING of DAVID, the BRIGHT MORNING STAR”? Surely that title had meant something VERY POWERFUL to the PEOPLE of THE FAITH! Consider the titles “ARISING SUN OF RIGHTEOUSNESS, “RIGHTEOUS SHAHSHANSHAH likened to the RISING SUN”, “SUNRISE”. WHO was the “KING OF THE MEDES” prophesied to OVERTHROW BABYLON once and for all? Though He did RULE over all the territories of the EAST, He did not yet globally RULE also over ALL the WEST, as PROPHESIED! Note that the book of REVELATION surely foretold that before the SAVIOR would RETURN, a REBELLION of the NATIONS, even the SLAUGHTERING of the SAINTS and a WORLD FALLEN AGAIN AWAY from the TRUTH of the FAITH! 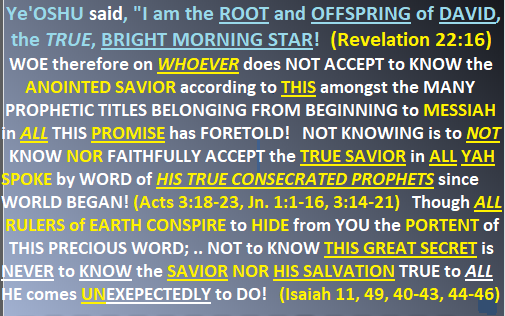 REVELATION 22:10-21 related that surely this ROOT and BRANCH of DAVID and BRIGHT MORNING STAR would RETURN for SALVATION’S SAKE, to AGAIN DELIVER HIS PEOPLE from ALL who MISrepresent the FAITH who OPPRESS THEM who granted OPPORTUNITY would TURN from TRANSGRESSION! Even that scripture related at ISAIAH 59:8-<19-21>-60:12, is reiterated ROMANS 11:25-12:4, and EPHESIANS 6:10-21 concerning the BLINDNESS that has in SOME PART BEFALLEN ISRAEL until the TIMES OF THE GENTILES must surely for REDEMPTION’S SAKE, come to an END! CONSIDER! ISRAEL canNOT be SAVED as TRUE to the HEART of the ANCIENT HEBREW FATHERS, till ALL the Ungodliness of the NATIONS is PURGED AWAY; and ALL the RIGHTEOUSNESS once the REVERENCE of ISRAEL of RESTORED! Again. It must be asked, WHY else in SEALING the book of REVELATION would YESHUA confirm His MESSIAHSHIP in admonishing the CHURCHES that surely He IS the SHAHSHANSHAH expected out of the HOUSE of DAVID who bore the title “BRIGHT MORNING STAR”? Consider again the passages at ISAIAH ch.11, 40:1-<27-41:4>-<21-42:4>-<19-43:15, 44:20-45:6>-<46:8-13, 48:10-49:6, 66, Malachi 2:17-3:4, 3:18-4:2>-6, Zechariah 3:8, 6:12, Jeremiah ch.48-<v.51:11 & v.28>-64, 2Chronicles 36:22-Ezra 1:4. Surely the Messiah Yeshua would NOT have jeopardized the AUTHORITY given Him from ON HIGH but for ONE auspicious well-known REASON! (Mattiah 28:18-20 .. 2Chronicles 36:22-Ezra 1:4) The KURTI-SHAHSHANSHAH was regarded throughout THE SYNAGOGUES and the CHURCHES OF THE EAST by the PRIESTS PROPHETS, APOSTLES and YESHUA HIMSELF, surely as the PROMISED AWAITED MESSIAH! NOT to know this, is NOT only NOT to KNOW the SAVIOR, but NOT to know WHAT to PRAY FOR so as to prove beyond the MARKS OF THE BEAST-NATIONS, STEADFASTNESS as a SERVANT of YAH! 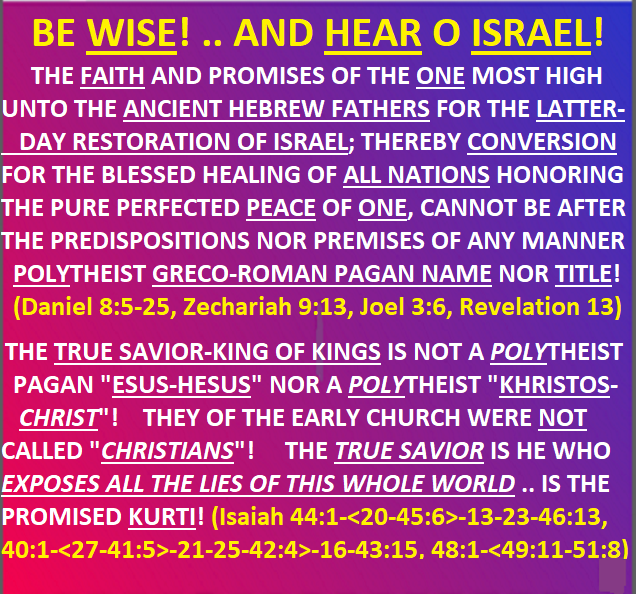 (Yacob 1:1-8>-17, Isaiah 40:1-41:4) This is the sure word of PROPHECY written of the by Apostle Kepa at 2Peter 1:19-21! HEAR THIS! It is written concerning the AWAITED ONE of the TRIBE of JUDAH the AWAITED RIGHTEOUS LAWGIVER SHILOH, WHO is HE? Gen 49:1 And YACOB unto his sons, and said, GATHER YOURSELVES TOGETHER, that I may tell you that which shall befall you in the LAST DAYS. Gen 49:8 JUDAH, thou art he whom THY BRETHREN SHALL PRAISE: thy hand shall be in the neck of thine enemies; thy father’s children shall “BOW DOWN” before thee. Gen 49:10 The expectation of a sceptre shall not depart from Judah, nor the expectation of a LAWGIVER from between his feet, UNTIL SHILOH COME; and unto HIM shall the GATHERING OF THE PEOPLE BE! ISAIAH 45:23 I have sworn by MYSELF, the WORD is gone out of MY MOUTH in RIGHTEOUSNESS, and shall not return unto me void, That unto ME, … “EVERY KNEE SHALL BOW”, and EVERY TONGUE SHALL SWEAR ALLEGIANCE! Rom 14:10 But why dost thou judge thy brother? or why dost thou set at nought thy brother? for we shall all stand before the judgment seat of THE KURTI. Rom 14:11 For it is written, As I live, saith the Lord, “EVERY KNEE SHALL BOW BEFORE ME“, and every tongue shall confess unto YAH. Rom 14:12 So then every one of us shall give account of himself before YAH. Phil 2:3 Let nothing be done through STRIFE or VAINGLORY; but in HUMILITY of MIND let each esteem OTHERS moreso than THEMSELVES. Phil 2:4 Look/ esteem .. not every man on account of his own things, but every man regard also on the things of others. Phil 2:8 And being found in fashion as a man, He HUMBLED Himself, and became obedient unto death, even the death of the stake. Phil 2:11 And that every tongue should confess that YEOSHU the KURTI is LORD/ MASTER, to the GLORY/ HONOR of YAH His FATHER. Phil 2:12 Wherefore, my beloved, as ye have always should have obeyed, not as in my presence only, but now much more in my absence, work out your own salvation with fear and trembling. WHO is this before whom EVERY KNEE shall BOW, that EVERY KNEE shall BOW BEFORE YAH, .. even HIM before WHO ALL shall BOW before the GLORY of YAH? contrived to say gave THEM AUTHORITY .. WAKE UP! To be CONVERTED beyond this IDOLATROUS LIE that MEN have MADE!! (Mat.28:18-20, Isaiah 44:6-<22-45:5>-<23-25>-<46:8-13) Indeed! WHOEVER does NOT know YEOSHUA as SHILOH, SHAHSHANSHAH, ROOT and OFFSPRING of DAVID the BRIGHT MORNING STAR, the KURTI and GLOBAL INHERITOR .. has worshipped a FALSE MESSIAH! A WHOLE WORLD has worshipped a FALSE MESSIAH for NOT discerning the TRUE! 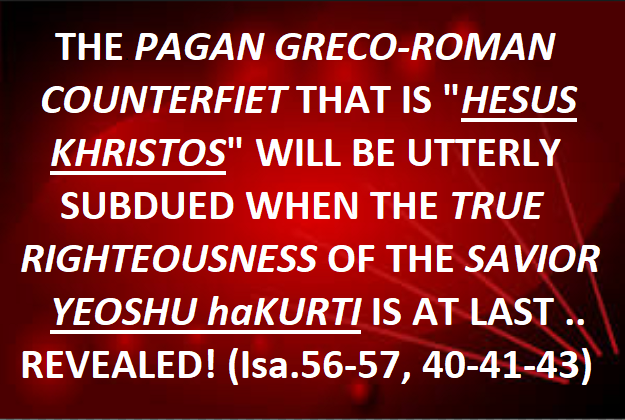 The TRUTH of the “anointed messianic “Lord” that a WHOLE WORLD of treacherous kings and pastors have selfishly sought to OBSCURE .. is NOW being revealed before your eyes! As I have said before, it is NOW VERY VERY LATE! Blessed are they wisely humble and diligent enough to seek and believe! LUKE 3:4-6 compared to ISAIAH 40:1-<4-9>-<27-41:5>-<21-25-42:4-<16-25>-43:15, 44:1-<20-45:6>-13-*23-25>-45:8-13, Philippians 2:9-13, Rom.14:10-12 reveals much. WHO is it speaking of at ISAIAH 50:1-8 .. comparing ISAIAH 45:24. BEEN NOW COMPELLED TO ADDRESS! NOT TO DO SO IS BLASPHEMY!